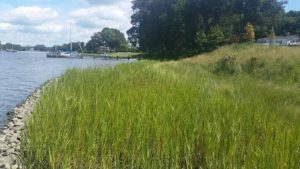 Environmental Concern (EC) was selected by Dorchester County to design and construct a Living Shoreline at Elliott Island. 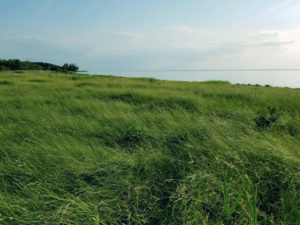 The new marsh is approximately 4,000 linear feet and provides approximately 20 acres of habitat. 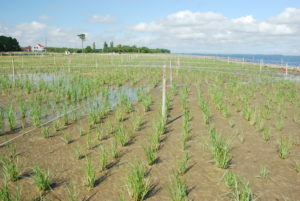 More than 400,000 Spartina alterniflora and Spartina patens plants, grown in EC’s Nursery, were planted in the created wetland. 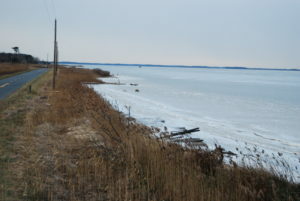 The wetland absorbs wave energy, protecting Elliott Island Road. 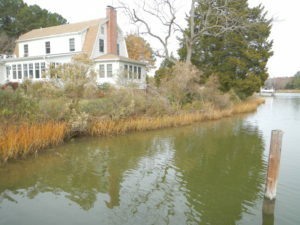 More important, the marsh improves water quality and enhances habitat. Preliminary design work was facilitated by the use of GIS datasets, historic aerial photography, and on site GPS mapping of existing conditions. 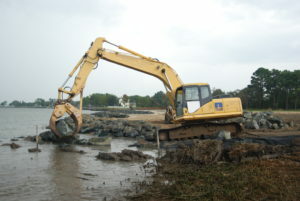 A locally available source for clean dredge material was utilized for the marsh base. 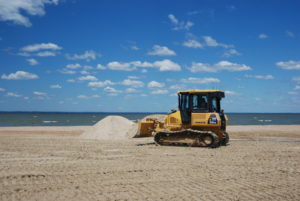 Construction commenced in July 2010 and was accomplished in phases, with early phases planted as new phases were begun. The final section was planted in December 2011. 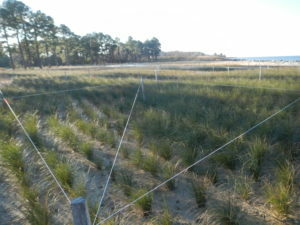 Goose exclusion fencing was installed to protect the new plantings. 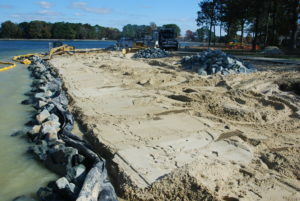 In order to access the dredge spoil site with heavy equipment, EC engineered and constructed a temporary support system for the Elliott Island road bridge. 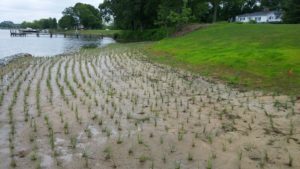 This project was made possible by a grant through the American Recovery and Reinvestment Act of 2009 (ARRA) to Dorchester County. 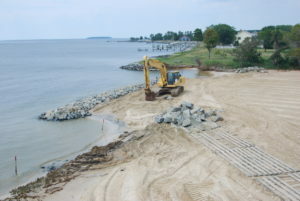 This living shoreline project was designed to protect 260 feet of eroding shoreline on private property. 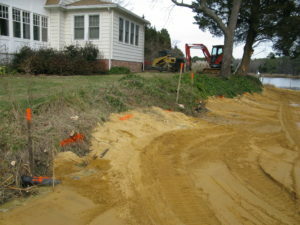 Shoreline erosion was becoming a threat to the existing house on the property. 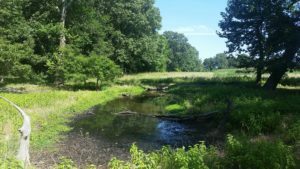 A total of 0.14 acres of marsh and transitional habitat were created/ restored on Edge Creek. 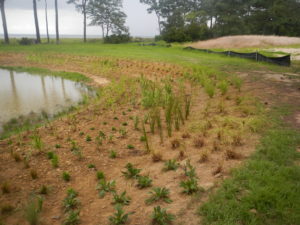 Environmental Concern (EC) surveyed, designed the project, obtained all necessary permits, constructed the Living Shoreline, and planted Spartina patens and Spartina alterniflora, grown in EC’s native plant nursery. 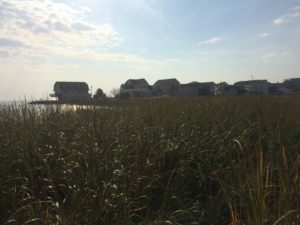 This project also involved the eradication of Phragmites adjacent to the shoreline, and the installation of a bioretention facility to manage surface runoff. This private residence on San Domingo Creek had a deteriorating bulkhead. 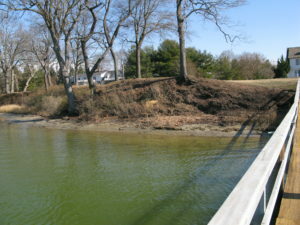 The owners elected to remove the bulkhead and install a Living Shoreline. 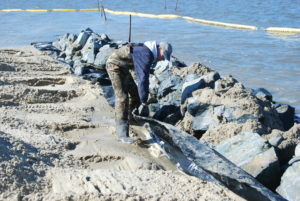 Environmental Concern removed 1,350 ft of failing bulkhead. 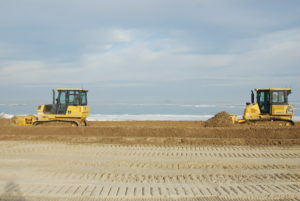 Sand was placed to create the marsh plain. 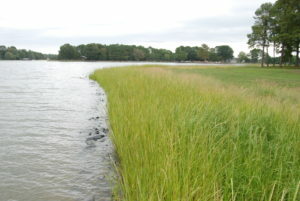 A low-profile stone sill was installed to protect the marsh edge. 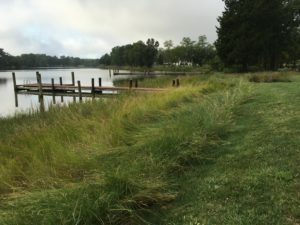 Environmental Concern (EC) surveyed, designed the project, obtained all necessary permits, constructed the Living Shoreline, and planted the shoreline with native plants grown in EC’s native plant nursery. 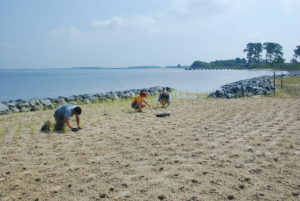 Environmental Concern Inc. (EC) was selected by the Town of North Beach in Calvert County to design and construct a Living Shoreline at the Walton Beach Nature Preserve. 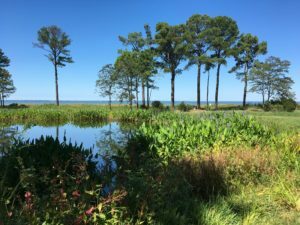 The new marsh protects approximately 670 linear feet on the Chesapeake Bay. 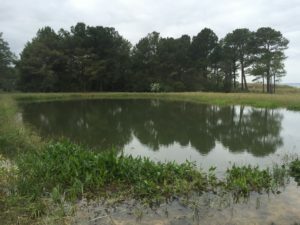 This constructed wetland also helps absorb wave energy, protecting MD Route 261, as well as the marsh which provides valuable black duck habitat. 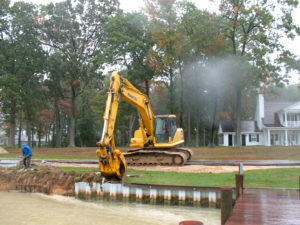 The wetland will improve water quality and enhance habitat. This is a high energy site, located on the Chesapeake Bay with fetch to the NNE estimated to be 49 miles and fetch to the SSE of 84 miles. EC surveyed and designed the project, prepared and obtained all the necessary permits, and prepared and submitted grant applications for funding on behalf of the Town. 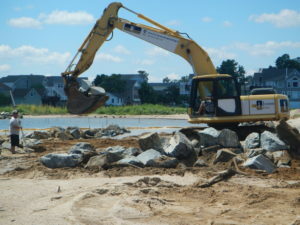 EC secured a grant for $540,000 through the National Fish & Wildlife Foundation’s Hurricane Sandy Coastal Resiliency Grant. This grant also included funding for Outreach and Education. 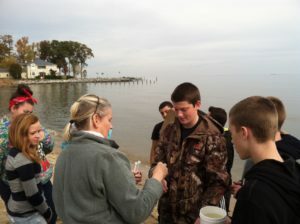 EC designed and implemented a “hands-on” county-wide program for high school students from Calvert County Public Schools. 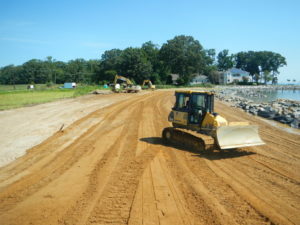 Environmental Concern was engaged by the Midshore Riverkeeper Conservancy (now ShoreRivers) for the design-build of this Farm Wetland Restoration Project. EC surveyed, designed, permitted, and constructed a 35,000 sq.ft. 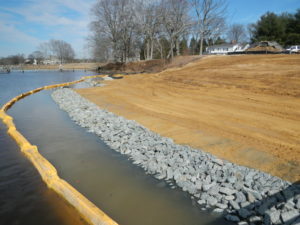 forested nontidal wetland restoration project in the Wye/ Miles River watershed in Talbot County. 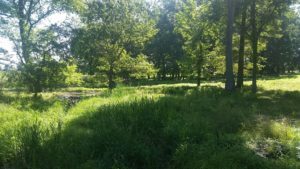 The design enhanced an existing degraded wetland and created stormwater management/treatment for agricultural runoff from a 29 acre catchment area on this historic farm. 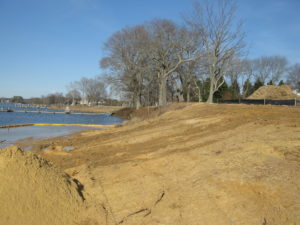 Low berms and small stilling basins were included to cause temporary ponding and to restore wetland hydrology. 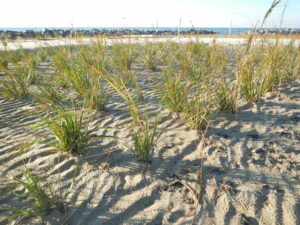 The area was seeded with native vegetation. 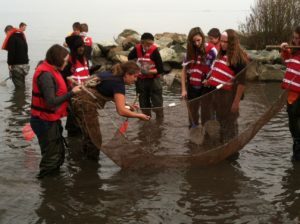 Funding and support for the project was provided through grants from the Chesapeake Bay Trust and Maryland Department of Natural Resources with project oversight provided by the Midshore Riverkeeper Conservancy. 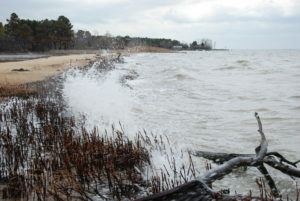 The Island Creek living shoreline was designed to protect 240 feet of eroding shoreline. The high bank was experiencing erosion and large trees were becoming unstable. 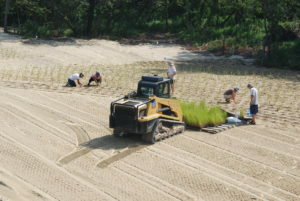 A portion of the bank was graded to provide transition habitat. 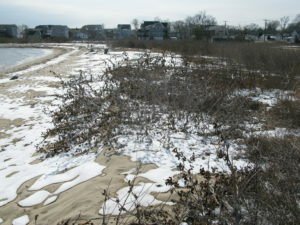 The remainder of the shoreline was stabilized and trees were protected. 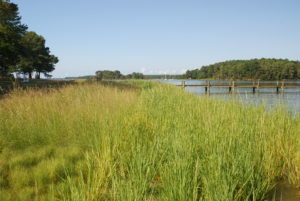 A total of 0.3 acres of marsh and transitional habitat were created/ restored on Island Creek. In addition, a bioretention at the top of the bank to managed stormwater. 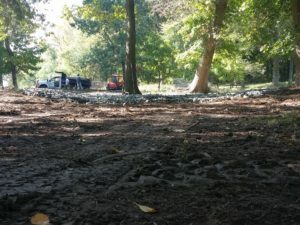 The bioretention safely conveys stormwater runoff from the upland, through the bioretention treatment facility, through a drop structure to the creek. 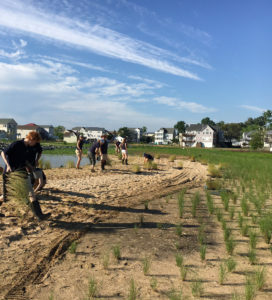 Environmental Concern (EC) surveyed, designed the project, obtained all necessary permits, constructed the Living Shoreline, and planted the shoreline and bioretention with native plants grown in EC’s native plant nursery. 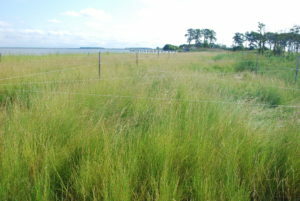 Environmental Concern (EC) created a 2.6 acre marsh on Tilghman Island. 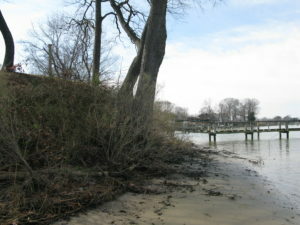 This Living Shoreline protects approximately 600 lineal feet of shoreline on Paw Paw Cove/Chesapeake Bay. The fetch from the northwest exceeds 20 miles; the fetch from the west and southwest exceeds 10 miles. 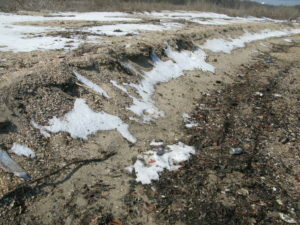 For the period January 2009 – January 2011, shoreline erosion was monitored at several locations. 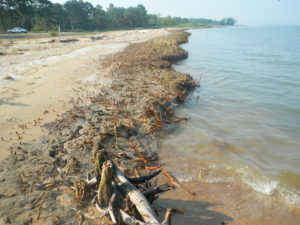 The shoreline loss varied along the length of the shoreline from 2.4 ft. annually (southern portion) to as much as 14.4 ft. annually (northern portion). EC designed the project and obtained all necessary permits. 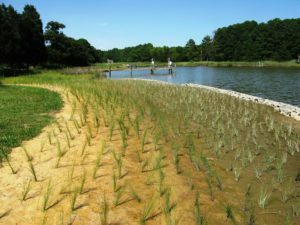 EC eradicated Phragmites, restored an existing wetland, constructed a Living Shoreline, and planted Spartina patens and Spartina alterniflora, grown in EC’s native plant nursery. 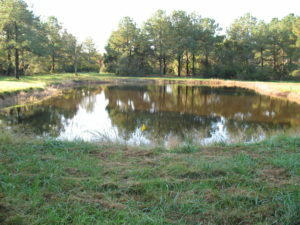 EC also restored a pond on this property. The pond had near-vertical banks and was only about 4 feet deep. 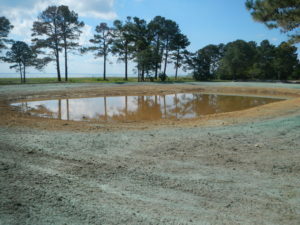 Algae blooms were common in summer. 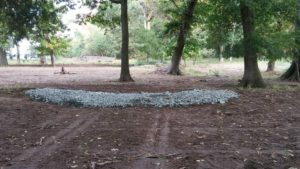 EC deepened the pond and graded the banks of the pond to create a planting shelf that was then planted with native wetland plants grown in EC’s nursery. The plants around the pond are thriving and host large numbers of migrating monarchs in early fall. 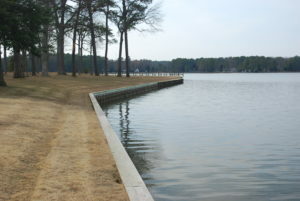 Living Shoreline, measuring more than a mile in length, was constructed to protect Ordinary Point, a peninsula of land on the Sassafras River. 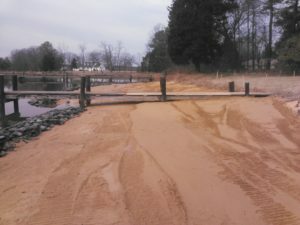 The restoration was necessary to prevent the breach of the narrow peninsula to protect the sensitive habitat of Money Creek. The fetch from the west is approximately 10 miles. 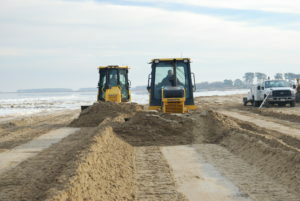 The project also included re-design and repair of the only access road to the point. 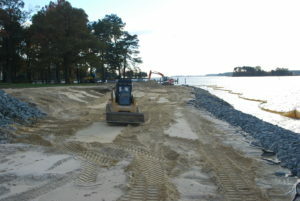 Environmental Concern Inc. (EC) designed, engineered, permitted, constructed, planted, monitored and maintained the shoreline restoration. 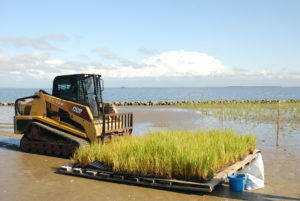 In total, over 5 acres of new marsh and marsh transition habitat were created / restored. 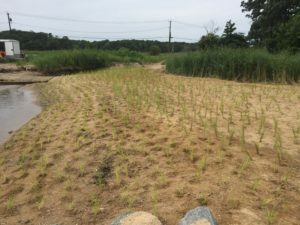 The marsh was planted with more than 200,000 Spartina alterniflora and Spartina patens, the marsh transition was planted with warm season grasses and shrubs. All the plants for the project were grown in EC’s nursery.